Today we had brunch at Wednesday Afternoon Writers. Diane suggested we bring something for show-and-tell. Something old that someone wrote like a recipe or a letter. Diane brought a lovely album that her grandmother made with a list of what ladies should do. Inside were carefully cut samples of cloth and pattern pictures and examples of sewing and handiwork. It was charming and took us back to times gone by. Diane wrote a modern-day list of what boys should expect if they wear their pants under their bums. Hopefully, she’ll post the two lists together. Sheila told the story of when she was ten and found some hidden love letters between her parents. She needs to finish this story. It is an important story to be shared. Niki brought a legal note her daughter Kathleen found in an old sewing chest. However, it was the note about the milk scribbled on the back of the envelope that gave Niki her story. She, too, needs to finish. It’s lovely. Sandy isn’t leaving the classroom behind. She shared gifts from students and colleagues she’s gathered over the years. However, Sandy’s story was inspired by Sheila’s background and, just maybe, a little bit from Fiddler On The Roof. It was delightful. The seed of my poem came from my mother’s four page, front and back, handwritten recipe of her famous potica. It was actually my father’s mother’s recipe, but my mom perfected it. We talked about how I never made it by myself with her when she was alive. Now dad helps me make it. One of the hardest things to do is to roll the dough thin enough without breaking it. And this led me to my poem. If you would like to read the other pieces, please visit Wednesday Afternoon Writers Facebook page. I am excited to begin reading The Whipping Club by Deborah Henry. Not because it only cost $2.99 at Amazon, but the story intrigues me. This book recently landed on O’s Summer Reading list. Tweekspeak Poetry Press is so proud to have their first novel honored, they are sponsoring a poetry and photography contest this week. My second entry to the contest finds me exploring a love of mine – rocks. I have collected rocks since I was a young child scouring our gravel driveway. Polishing rocks, learning about their meanings, and making jewelry with them, still finds me happily creating today. At Tweetspeak they have reason to celebrate. They published Deborah Henry’s The Whipping Club this past February and it made O Magazine’s Summer Reading list. 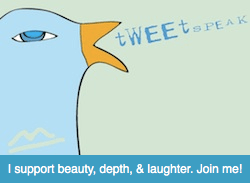 Tweetspeak is celebrating with a poetry and photo contest. Since I am recovering from surgery, I can’t imagine a nicer way to spend this week than playing with words. Here in Colorado we are in the midst of the devastating High Park Fire. Along with it’s harshness, there has been stunning beauty. What looks like fluffy clouds rising into the sky are really plums of white smoke. As the sun sets and the fire rages, shades of orange tinge those so-called clouds. Nature in her cruelty doesn’t let us forget her loveliness. Alongside the tightly petaled bud. Last week we celebrated our second Annual Party on the Deck for Wednesday Afternoon Writers. It’s fun to see that we are still together and writing with fervor. What started as an invitation to friends to join me to write once a month on their choice of any Wednesday afternoon, has turned into a group of lovely people who make it their goal to come every week. We write from a prompt, share and laugh. We even win contests! Niki Kessinger was the winner for her story of exactly 100 words at 100WordStory.com. At our party we ate and laughed and, of course, wrote. I was recently inspired by Wave Books and their Erasure poems. I visited the Gutenberg Project and chose a handful of classic texts. Each writer choose the title that interested them and went about writing an erasure poem. See my blog post Great or Small for an explanation and my first erasure poem. Here is my poem taken from the text Paper Cutting Machine, The Knife, Chapter 6, page 16, the opening paragraph.